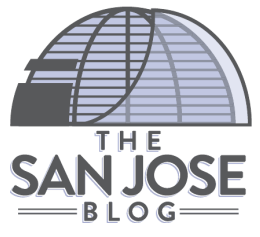 The San Jose Blog: The San Jose Blog Hits 1 Million Page Views! The San Jose Blog Hits 1 Million Page Views! Over the weekend The San Jose Blog hit a major milestone. The homepage has now officially been viewed over 1,000,000 times! It took four and a half years to get to this point, but it looks like the next million views will happen by the end of 2014. I really want to thank of all of our readers. Without you guys this blog would have died long ago, along with the majority of San Jose blogs with similar goals that have come and gone over the years. I would also like to thank the other contributors to the blog: Jen, Jarrod, and Andy for their continued support. Just like any other major milestone in life, it is a good time to look ahead at the future. One of my key hopes for this blog was always to have it contribute more to the community, especially Downtown San Jose. So I would like to work towards an annual event for readers and supporters, hosted at a new, hip Downtown eatery with free beer and snacks. I love how Content Magazine throws parties for their supporters, and would like to do the same thing. A longer term goal is contributing to major projects (Halloween in the Park and local art projects comes to mind). In order to fund these plans, I'm planning to put up a single, unobtrusive ad block over on the right hand panel by the end of the year. It will not affect the posts in any way, either visually or from a content perspective. If you guys hate it, just let me know (josh@thesanjoseblog.com). If it doesn't work or annoys people, I have no problem rolling back the change. Thank you again for all of the support, and here's to the future! I love this blog. Bring on the ad. If you need volunteers for your event, let us know!